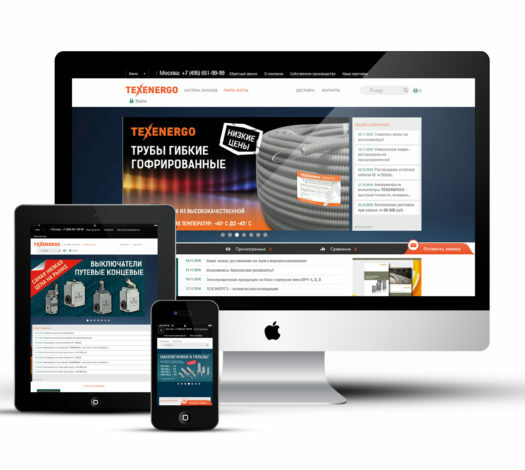 Currently Texenergo is one of the most popular Internet stores on the internal market and maintains a huge amount of (flow) traffic. Texenergo is one of the most interesting and complicated projects. CubyDev team has a huge experience of RoR projects development but we worked with Bitrix only within several projects on the internal market. CMS Bitrix was transferred to Ruby on Rails. One of the main reasons of the transfer consisted in that unique and technically sophisticated solutions exceeding the scope of standard CMS (engines) that are pretty easy to create on RoR. We both successfully transferred the website and developed modules required for the Internet store.